Harvey Chess, Author, 9780996314718, 198pp. You're a staff member, board trustee, community volunteer or consultant doing the hard work to rai$e money so your nonprofit can keep going, keep pursuing its mission. Whatever you're up to, it's not getting any easier out there with all the other groups competing for attention and money. This is where Harvey Chess comes into your picture. His ongoing work is in and around nonprofits, including grant makers. He's best known as a seasoned trainer delivering highly regarded funding proposal development workshops for years. He fully understands the challenges you confront in trying to support your organization - and has distilled his experience into a one-of-a-kind book for you, Functional and Funded, Securing Your Nonprofit's Assets From The Insiide-Out. His book concentrates on helping you overcome resource development and sustainability challenges. You'll have the opportunity to front and center tactics that separate your nonprofit from the crowd by distinguishing it as substantial, enterprising and resilient. Putting aside much of what passes for conventional wisdom in fundraising, you're presented with a potent alternative - business as unusual - when making the case for financially supporting your nonprofit. Everyone reading and then applying the uncommonly strong strategy at the heart of this book will upgrade skills to secure assets for their nonprofit while strengthening the organization at the same time. Flip typical proposal development on its head while throwing in a healthy dose of common sense when it's time to reach out for needed funding. Most important, supplant the customary passion for what we do in nonprofits to why we do it. First, the days of only seeking grants are over The book's Nonprofit Engine contains the diversified components of financial assistance your organization must now seek out to keep running. You'll be offered the tools to develop absolute clarity in building the sharp core funding proposal to use and refine to tell your nonprofit's story every time you reach out for funding. At the same time, you will discover - or rediscover - that the characteristics of a strong nonprofit organization and a strong funding proposal share common ground. You'll come away from business as unusual with a strong nonprofit inside; a strong proposal outside. You want nothing less when it comes to competing for resources. The book includes three real life funding proposal variations, along with comments about what makes sense and what doesn't in each. A chapter, The Funding Marketplace, details how and where to locate sources of potential financial support for your organization. You'll find external links to facilitate solid, detailed follow-up research. Finally, there's a Tool Kit - the components of which you can and should reproduce - intended to bring to life the book's sub-title, Securing Your Nonprofit's Resources From The Inside-Out. 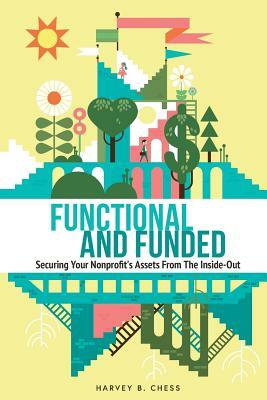 In the words of the immediate past director of the California Community Foundation: "The book contains a no-nonsense and easily understood method of attracting assets to your nonprofit organization. It will make you laugh and more importantly it will make think. You are in for a treat."